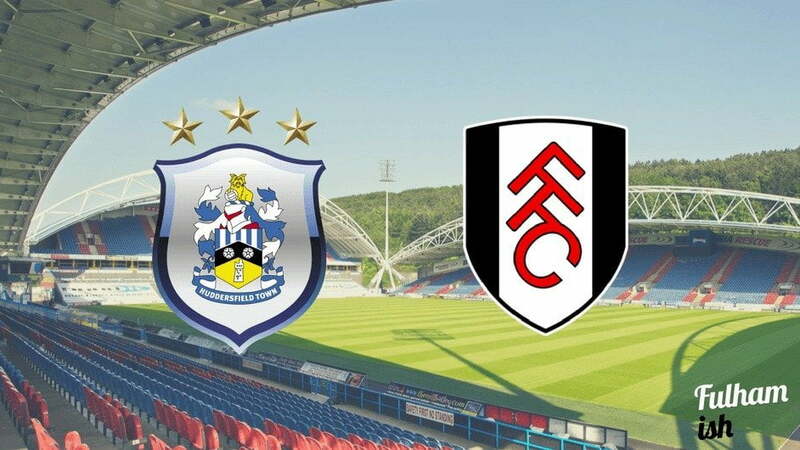 Easter went about as well as Fulham could have ever hoped for, but life gets no easier for the Whites as they travel to Yorkshire to play a Huddersfield Town team exceeding all expectations this season. The Terriers, under David Wagner, have been irresistible at times this season, and boasting a wonderfully collected array of loan talent, they could prove to be quite the obstacle in Fulham’s play-off charge. Aaron Mooy, on loan from Manchester City, has been arguably their standout player, but he’s in good company. Izzy Brown and Kasey Palmer are both exceptional young talents borrowed from the Chelsea ranks, and in Danny Ward (contracted to Liverpool), they have an up-and-coming and settled keeper who has produced 10 clean sheets already this season. There are some permanent players of note too. German centre-half pairing Michael Hefele and Christopher Schindler have been imperious at times; Dean Whitehead skippers the side, putting steel into the midfield; whilst in Nahki Wells, Elias Kachunga and Collin Quaner, they boast in-form striking options with a wealth of experience. Whilst sitting pretty in the playoff spots with a game in hand on all comers, Huddersfield have suffered a small blip in form of late, dropping points against Derby County, Nottingham Forest and most surprisingly, Burton Albion at home. That Brewers loss is most shocking when you realise it’s only the fourth time Huddersfield have lost at home all season, the others being to Newcastle United, Sheffield Wednesday, and a freak result against Wigan back in November. It might be, then, a good time to play the Terriers, and with October’s mauling at the Cottage in mind, the Fulham faithful will hope that they can see another dynamite performance from the Whites. That day marked the first time McDonald, Johansen and Cairney played together in the midfield; and Fulham will need another all-encompassing midfield display from the three if they are to come away with all three points. With Chris Martin out again, it remains to be seen as to whether Slavisa will change things up at the top end or stick with the side that beat Villa. We’d keep as is, apart from giving Kebano the nod ahead of young Ryan Sessegnon. After all, we don’t want too many people looking at him, do we? Like the Shelvey battle, this one picked itself. Both PFA Team of the Year players, and both regarded as their side’s standout performer over the course of the season, Mooy and Cairney have found themselves burdened with the hopes and dreams of two expectant fanbases this year. Tipped for big things, the on-loan Man City man has been the beating heart of Huddersfield’s season this year, with four goals and seven assists. He’s added more than that to the Terriers midfield though, with an ability and a maturity that belies his years; and has been the platform off which Van la Parra and Izzy Brown have launched a number of devastating counter attacks. Fulham have their own superstar in the No10 shirt, however, and Cairney’s contributions are arguably even more important to the Whites than Mooy’s have been to the Terriers. His ability to pick a pass, evade challenges and unleash thunderbolts from distance are what have led TC to being hailed as the Championship’s best player. It’s sure to be a tough contest that both of the No10s on the field will relish, and the winner will have a big say in determining which way the three points go. We want to say we’re going to win here. We really do, but we’re wary that too much optimism will lead to a Fulham collapse. So we’re going to go for an entertaining, but ultimately frustrating, 2-2 draw. Don’t forget to listen to Monday’s episode of Fulhamish for all the reaction to this game and a build-up to next weekend’s tasty local derby.